The month of Ramadaan in which was revealed the Qur’an, a guidance for mankind and clear proofs for the guidance and the criterion (between right and wrong). 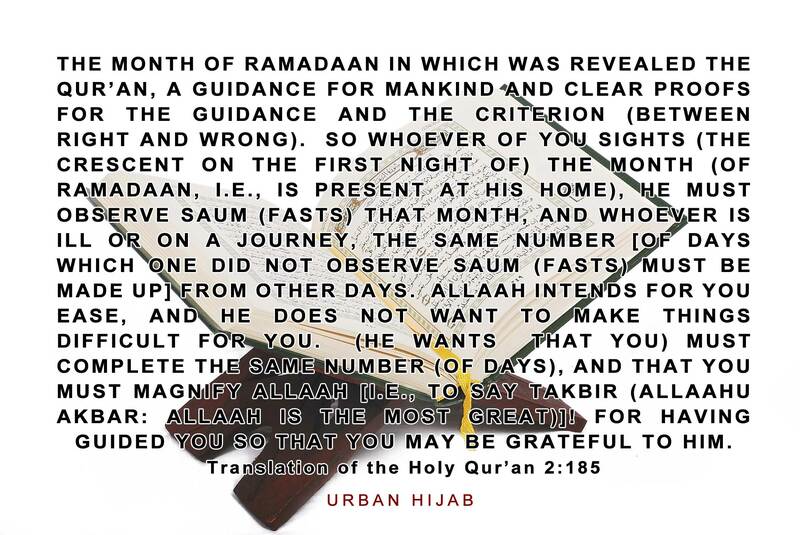 So whoever of you sights (the crescent on the first night of) the month (of Ramadaan, i.e. is present at his home), he must observe Saum (fasts) that month, and whoever is ill or on a journey, the same number [of days which one did not observe Saum (fasts) must be made up] from other days. Allaah intends for you ease, and He does not want to make things difficult for you. (He wants that you) must complete the same number (of days), and that you must magnify Allaah [i.e. to say Takbir (Allaahu Akbar: Allaah is the Most Great)]! for having guided you so that you may be grateful to Him.